Narrative: Used to wash and carry clams. 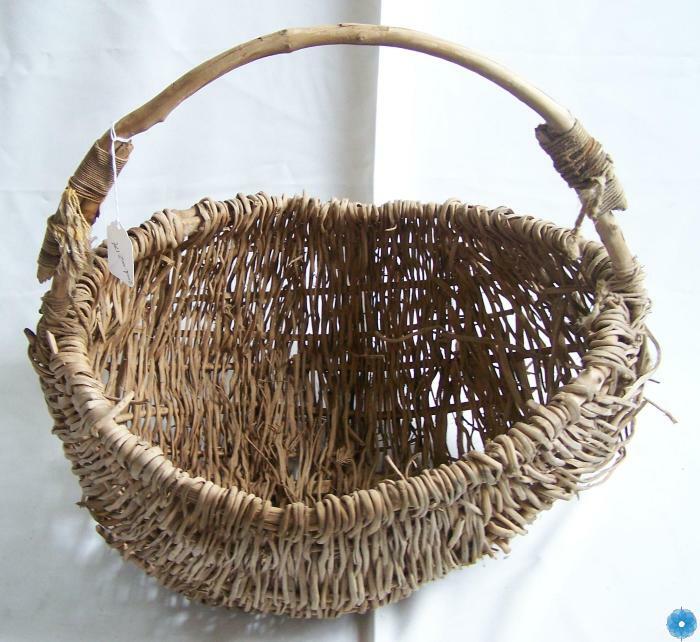 Description: A oval shaped Woven root basket with arched handle. The original handle looks to have been repaired by an additional pice of wood being added to the handle piece of the basket.